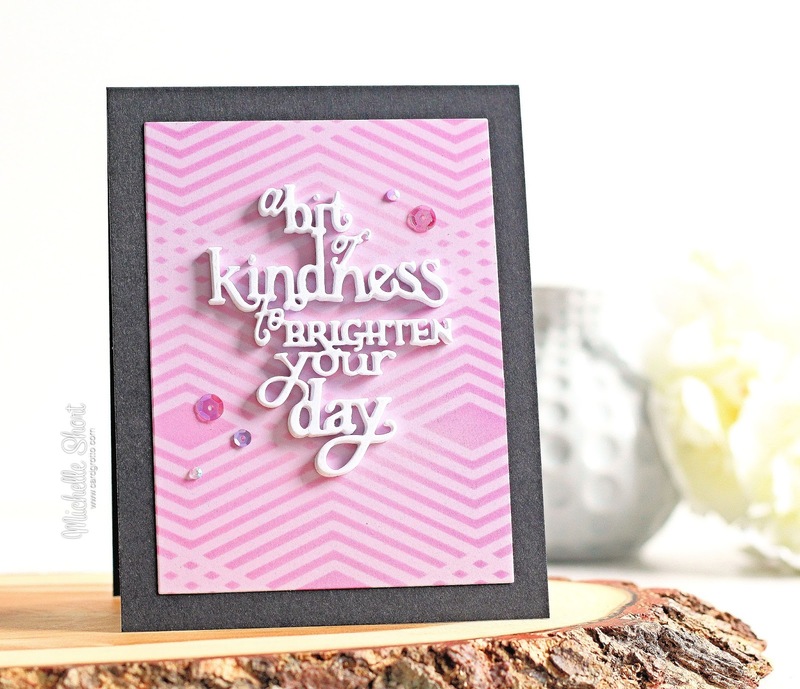 Hello there, today I have a card to share using the new A Bit Of Kindness Fancy Die from Hero Arts. 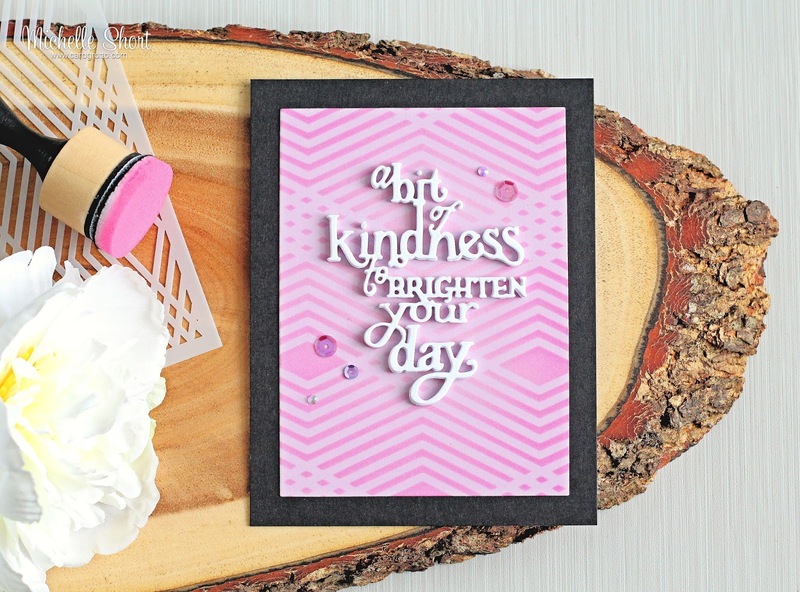 Hero Arts donate 25% of their profits from this die to the Kind Campaign, which aims to end bullying. 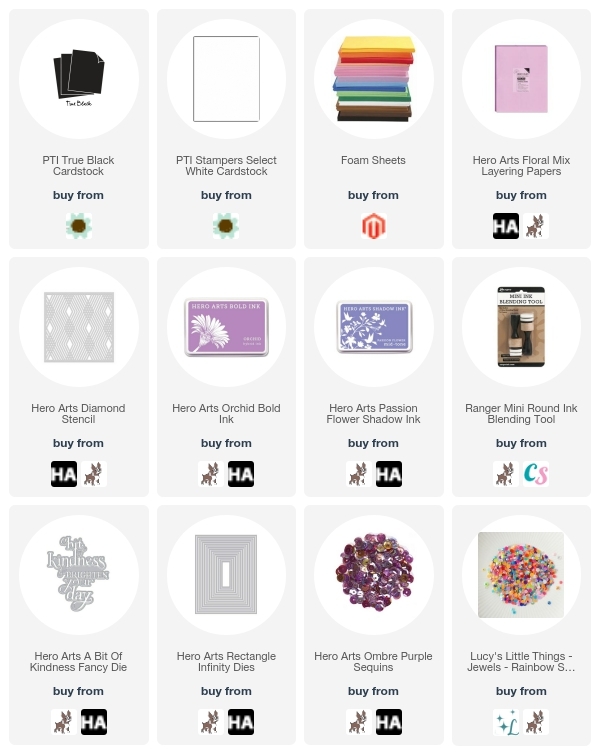 Another great reason to buy more crafty goodies! I started off by die cutting the wording from white cardstock, I then cut it again from a piece of fun foam with Stick It adhesive on either side (In hindsight, I think I may not have used the Stick It as it became incredibly sticky and therefore kept sticking to my fingers and bending the die out of shape). I added the cardstock piece on to the foam piece and then set aside to work on my background. I took a piece of Lilac paper from the Floral Mix Layering Papers pack and cut this using one of the Rectangle Infinity Dies. I added some spray adhesive on to the back of the Diamond Stencil and then blended over Passion Flower Mid-Tone ink and Orchid Bold Ink around the edges. The stencil was removed and the piece was added to a black A2 card base. I added the die cut on top and to finish off, I added Ombre Purple Sequins and some Rainbow Jewels (Little Things from Lucy's Cards). I do apologise for the photos, my camera didn't want to play nicely this morning! I hope you can see how fabulous that die is though! Thanks so much for visiting me today. I hope you have a great rest of the day! Great graphic card. I often end up in a sticky mess with Stick It, I'm glad it's not just me!